Accelerate Homes work in exclusive partnership with some of Britain’s oldest and most trusted fast home buyers. If you need to sell your house fast for cash, you have come to the right place! We have streamlined the processes and can connect you quickly with the right buyer to complete an entire sale in as little as seven days. We understand selling your home can be a daunting process. 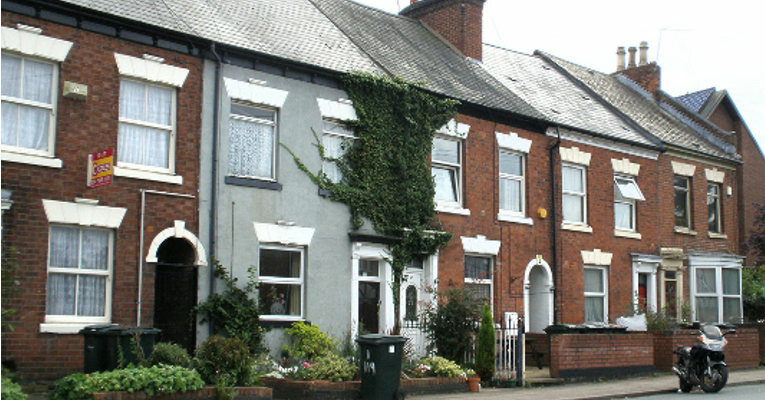 That’s why we have put together this guide on how to sell your house fast in Coventry. Read on to discover sale options worth considering, the process of selling your home fast and the scams you should be wary of. If you’re ready to sell your house fast for cash or would like a free quote, please contact us. The most common way to sell a property in the United Kingdom is through an estate agent. In fact, currently 90% of the homeowners choose this path. However, an estate agent is neither the quickest nor smoothest option. Selling through an agent often means your property remains on the market unsold for months on end. The average house in Coventry stayed on the market for 14 weeks, according to data collected between March 2016 and March 2017. And this doesn’t include the additional four weeks required to finalise the sale. If you need to sell fast, this just isn’t a viable option! An estate agent may indeed be able to achieve the best possible price for your property. But this requires a high-quality agent with strong negotiation skills and a group of well-resourced buyers. Unfortunately, a high-quality agent can cost a small fortune. Furthermore, no matter how good your estate agent is, they will always charge additional fees, including transaction costs, solicitor fees and surveyor fees. These costs can all add up and may whittle away any or all of the profit you may make. For those of you who need to sell your home fast and are looking for a smooth process, a quick home buyer could be the best solution. However, we advise doing your research as occasional homeowners in the past have been caught up in fraudulent schemes. Please read our guide on avoiding quick house sale scams. Accelerate Homes partner with a select group of leaders in the market for a reason. We have one mission: to help homeowners achieve a quick, hassle-free sale, for the best possible price. Our mission is underpinned by the core values of professionalism, honesty, integrity, and duty of care. If you’re contemplating selling your house fast, all you need to do is pick up the phone or fill out our online form. We will connect you immediately with one our our cash buyers who are ready to answer all your questions and provide any assistance or clarification you need. Our recommended partner will give you an initial cash offer in as little as 24 hours. The initial offer will be determined using the current data on the real estate market in Coventry and a combination of property factors such as the size, style, condition and location of your home. After the initial offer, the buyer will organise an independent RICS surveyor to visit your property and undertake a thorough assessment of your home. The RICS report comes at no cost to you and is included in the standard service. At this point, our recommended buyer will make their final offer, which may increase or decrease per the RICS report. Once the final offer has been made, the buyer will not alter this. Please be mindful that while this is standard practice, corrupt cash buyers do exist and are known to reduce their final offer at the eleventh hour. Provided you are happy with the final offer; the buyer will proceed to organise all paperwork and legal formalities. The only thing you need to do is confirm your preferred completion date. Our partners are committed to providing a flexible and efficient service that meets your needs. Whether you want the entire process wrapped up in a matter of days, or would like to space it out over a few weeks or months, they will meet your deadline. Accelerate Homes in partnership with Britain’s superior property cash buyers have helped thousands of satisfied clients to achieve a quick and easy sale. So, why are our customers so delighted with us? Professionalism and Transparency: All our recommended partners are committed to providing a transparent, honest and caring service that genuinely helps sellers and far exceeds any standard estate agent. Our partners have a strict code of conduct and subscribe to the standards set out by the Office of Fair Trading. No hidden fees or costs: We believe selling your house should come at no cost to you. That’s why our partners charge absolutely no fees. Yes, everything is free. This often means you end up with more cash in your pocket than if you were to sell with an estate agent. Speed and flexibility: Our partners can move incredibly fast and can buy your house in as little as seven days. Alternatively, if you need to more time or a specific completion date, they can meet that too. Quick hard cash: Unlike other fast home buyers, our partners have access to significant capital funds. Meaning you will never be caught up in a chain of backlogged buyers, which is often the case with estate agents. When we say ‘quick hard cash’, we mean it. We’re here to help: Whether you require cash advances to keep your head above water while you wait for the sale to complete, or if you need to stay in your house a little longer to get your affairs in order – our partners are always here to help. They can even assist with removal cost. We have seen just about every reason you could possibly need to sell your house quick for cash. Here is a short list of why homeowners have contacted us. Divorce or Separation: This is a difficult time, so let us take one stress away. Our partners can purchase your house within a matter of days, with no fuss and no trouble. Moving Abroad: Do you need to relocate for family or work? Or maybe you just want a change of scenery? Accelerate Homes can get you where you need to be sooner by connecting you with the best quick cash buyers in the market. Debt Problems: Are you struggling to keep up with bills and mortgage repayments? Our partners can help ease the stress and clear your debts by buying your home and helping you get back on your feet. Property Developers: If your finance for renovations has run dry, or there just isn’t enough interest in your residence, our partners can buy the property. Facing repossession: If you’re confronted by the threat of repossession, or if court proceedings have already commenced, contact Accelerate Homes immediately. Repossession is not the only solution. We can help by connecting you with a buyer who can quickly buy your current house and help you to find a new home. Our partners operate across the entire city and metropolitan borough of Coventry. Please find a list of suburbs Accelerate Homes can sell house fast Coventry. Allesley Green, Allesley, Bell Green, Ball Hill, Binley Coventry, Brownshill Green, Cannon Park, Canley, Chapelfields Coventry, Coundon, Courthouse Green, Daimler Green, Eastern Green, Earlsdon, Ernesford Grange, Edgewick, Foleshill, Finham, Green Lane Coventry, Holbrooks, Hillfields, Keresley, Longford Coventry, Potters Green, Radford Coventry, Spon End, Stoke Aldermoor, Stoke Heath, Tile Hill, Westwood Heath, Walsgrave, Whitmore Park, Whitley Coventry, Willenhall Coventry, Whoberley, Willenhall Coventry, Wyken, Wood End Coventry.